Two bear cubs, a black one and a brown one, decide to play hide-and-seek. While the brown one counts, the black one sneaks away to a shack on wheels, where he gets drunk on a keg of booze. Meanwhile, after counting to one million and two, the brown cub decides to search for the black cub. Once he does, they get into a fight and accidentally hit the lever that causes the shack to start rolling down the mountain. However, the bears manage to pull the lever and stop by crashing into a tree. The brown cub engages dizzy, but his parent suspects him of being drunk and gets punished for it. The black cub walks away, whistling innocently, but the brown cub beans him with a rock! 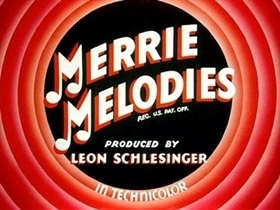 The first Warner Bros cartoon ever produced in 3-strip Technicolor. By the time, the exclusivity deal Walt Disney had with Technicolor had expired, so other studios could use the 3-strip process. This is also the first WB cartoon with the iconic bullseye ring opening, which would become standard for all future cartoons at the studio until 1964. NOTE: Bereniece Hansell (little bear voices), very first use of the trademarks of WB circles and written That's all folks (sic) ending. Ring color blue (the color being a particular obsession with a lot of us lool).Also Color Type Technicolor, in fact, the very first 3-color WB cartoon at a time when Walt Disney had been just a few years before, contractually dominated the contract with them.